Welcome to justskin a new laser experience in South Liverpool specialising in laser hair removal for men and women. At justskin we use the gold standard in laser technology, Alexandrite laser for fair skin and ND YAG for darker skin tones we can treat a wide variety of different skin types and tones. At justskin we can also treat pigmentation and thread veins on the face and legs. Our skincare range is the amazing Epionce winner at The Aesthetic Awards 2012 and voted the best anti-ageing skincare line in the US. Epionce was highly commended at the 2014 Aesthetic Awards and is becoming one of the most popular ranges used by doctors and medical aesthetic clinics in the UK. Epionce is formulated with potent botanical ingredients in proven concentrations using a highly effective delivery system without causing irritation. 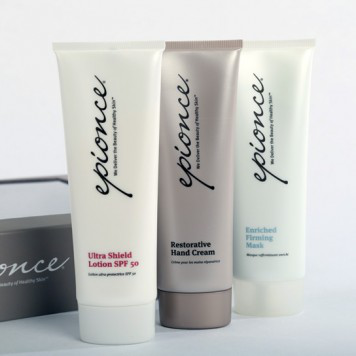 Paraben and fragrance free, Epionce is suitable for even the most sensitive of skin types. The effectiveness of Epionce has been proven in double-blind clinical trials conducted by independent, nationally recognised research organisations. But yeah, thanks for spending some time to discuss this subject here on your blog. am browsing this web page and reading very informative articles or reviews at this place. the time by reading thes fastidious content. Great blog yyou have here.. It’s difficult to find quality writing like yours these days. It’s in fact very complex in this busy life to listen news on TV, therefore I only use the web for that purpose, and get the hottest news. you are in point of fact a excellent webmaster. The website loading speed is amazing. It serms that you are doing any unique trick. Moreover, The contents are masterpiece. you have donje a wonderful process in this matter! Superb blog! Do you have any recommendations for aspireing writers? I’m excited to uncover this site. I wanted to thank you for your time duue to this wonderful read!! bookmarked to lookk at neew information on your blog. the sheell to her ear and screamed. There was a hermit crab inside and it pinched her ear. She never wants to go back! LoL I know this iis entirely off topic but I had to tell someone! seems aas though you relied on the vdeo tto make your point. Hi there, I discovered your site by means of Google while searching for a similar matter, your web site came up, it seems to be good. I’ve bookmarked it in my google bookmarks. Hi there, I found your web site by means of Google whilst looking for a related matter, your website came up, it appears great. I have bookmarked it in my google bookmarks. few of tthe images aren’t loading correctly. I’m not sure why but I think its a linking issue. I’ve tried it iin ttwo different browsers and both show tthe same results. Woah! I’m really loving the template/theme of this website. It’s simple, yet effective. A lot of times it’s difficult to get that “perfect balance” between superb usability and visual appeal. I must say you’ve done a fantastic job with this. In addition, the blog loads very fast for me on Chrome. Superb Blog! suxh information a lot. I used tto bbe looking for this certain information for a very lng time.